Plasma science is rich in distinguishable scales ranging from the atomic to the galactic to the meta-galactic, i.e., themesoscale. Thus plasma science has an important contribution to make in understanding the connection between microscopic and macroscopic phenomena. Plasma is a system composed of a large number of particles which interact primarily, but not exclusively, through the electromagnetic field. The problem of understanding the linkages and couplings in multi-scale processes is a frontier problem of modern science involving fields as diverse as plasma phenomena in the laboratory to galactic dynamics. Unlike the first three states of matter, plasma, often called the fourth state of matter, involves the mesoscale and its interdisciplinary founding have drawn upon various subfields of physics including engineering, astronomy, and chemistry. Basic plasma research is now posed to provide, with major developments in instrumentation and large-scale computational resources, fundamental insights into the properties of matter on scales ranging from the atomic to the galactic. In all cases, these are treated as mesoscale systems. Thus, basic plasma research, when applied to the study of astrophysical and space plasmas, recognizes that the behavior of the near-earth plasma environment may depend to some extent on the behavior of the stellar plasma, that may in turn be governed by galactic plasmas. However, unlike laboratory plasmas, astrophysical plasmas will forever be inaccessible to in situ observation. The inability to test concepts and theories of large-scale plasmas leaves only virtual testing as a means to understand the universe. Advances in in computer technology and the capability of performing physics first principles, fully three-dimensional, particle-in-cell simulations, are making virtual testing a viable alternative to verify our predictions about the far universe. The first part of this paper explores the dynamical and fluid properties of the plasma state, plasma kinetics, and the radiation emitted from plasmas. 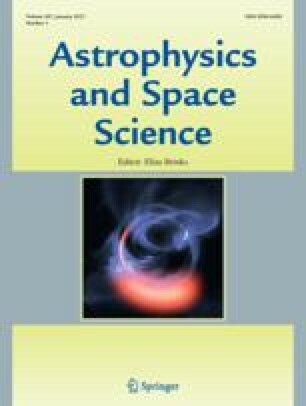 The second part of this paper outlines the formulation for the particle-in-cell simulation of astrophysical plasmas and advances in simulational techniques and algorithms, as-well-as the advances that may be expected as the computational resource grows to petaflop speed/memory capabilities. Dedicated to the memories of Hannes Alfvén and Oscar Buneman; Founders of the Subject.